AKRON PRODUCTS C-79 Floor Jack 4'5"-7'9"
The Hi-Lift Jack HL484 48 inch cast and steel jack is constructed with a mix of cast components and four high-strength stamped steel components. Performance characteristics and weight capacity remain the same as the all-cast Hi-Lift jacks but at a lower price. WIth over 100 years of quality, the Hi-Lift Jack is a rugged, highly versatile jack that puts you in command of situations requiring lifting, pushing, pulling, winching and clamping. Although light in weight and easy to manuever, the Hi-Lift Jack offers a rated load capacity of 4,660 pounds (2114kg) and a tested load capacity of 7,000 pounds (3175kg), achieving a 150% safety factor. Our jacks are designed to help you survive in the most demanding situations - whether you are in the Moab desert canyons, the Welsh mountains, the Amazon jungle or the farmlands of Indiana. With a full range of specially designed accessories, the Hi-Lift jack is just about the most versatile piece of off-roading, farming, auto recovery equipment you can buy. When its a heavy duty situation, the tool had better be a Hi-Lift! The Hi-Lift Jack HL485 48 inch all-cast jack is constructed with cast iron components for ultimate strength and durability. Hi-Lift Jacks are the only all-cast jacks manufactured in the world. WIth over 100 years of quality, the Hi-Lift Jack is a rugged, highly versatile jack that puts you in command of situations requiring lifting, pushing, pulling, winching and clamping. Although light in weight and easy to manuever, the Hi-Lift Jack offers a rated load capacity of 4,660 pounds (2114kg) and a tested load capacity of 7,000 pounds (3175kg), achieving a 150% safety factor. Our jacks are designed to help you survive in the most demanding situations - whether you are in the Moab desert canyons, the Welsh mountains, the Amazon jungle or the farmlands of Indiana. With a full range of specially designed accessories, the Hi-Lift jack is just about the most versatile piece of off-roading, farming, auto recovery equipment you can buy. When its a heavy duty situation, the tool had better be a Hi-Lift! The Hi-Lift Jack HL485 48 inch all-cast jack is constructed with cast iron components for ultimate strength and durability. Hi-Lift Jacks are the only all-cast jacks manufactured in the world. 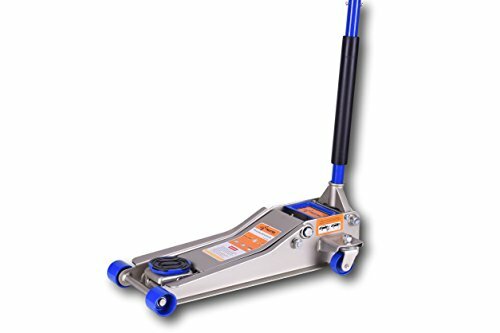 HEAVY DUTY FLOOR JACK - Premium quality, durable high-carbon steel floor jack. Coated to prevent corrosion. Self-centering plates (size: 4" x 5" x 0.82" minimum thickness) constructed to mitigate movement and prevent dishing. 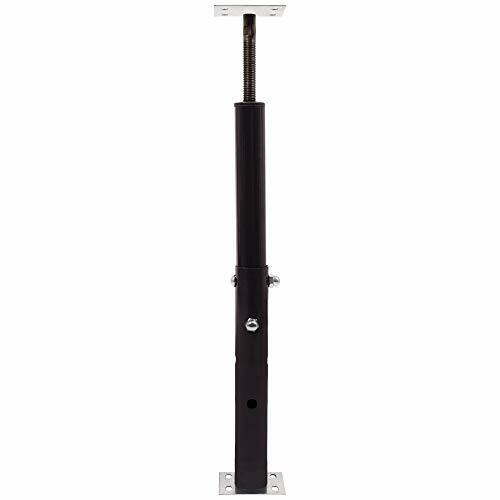 ADJUSTABLE FLOOR JACK DESIGNED FOR A CUSTOM FIT - This all-in-one jack stand is easy to assemble and install. All moving parts fit snugly to avoid lateral displacement, and the top and bottom plates are deeply embossed to mitigate movement and prevent dishing. SAFE - Akron floor jacks are fully adjustable and come with a double carriage lock for added strength and safety. TEMPORARY OR SECONDARY SUPPORT - Perfect temporary or additional support for primary areas such as stairs, porches, decks, crawl spaces and heavy load areas. This service jack can also be used permanently as a secondary support. SPECIFICATIONS - Size Range: 1'-1' 3, Weight: 8 lbs., Unit Cube: 0.2, Compression Load Range: up to 18,000 lbs. The Shore Jack is a convenient and durable way to make structural repairs and to function as temporary support for various construction and remodeling projects. The shore Jack along with a 4" x 4" wood post cut to a custom length becomes a versatile adjustable column. SHORING JACK - Transforms a nominal 4 x 4 lumber into an adjustable building product. NON-PRIMARY SUPPORT - Recommended as a temporary or non-primary support. HEAVY DUTY - Load capacity dependent on a 4 x 4 used up to 24,700 lbs. ADJUSTABLE - Easy to assemble, easy to install. MULTIPLE USES - Construction projects, Repairs or installations, renovations, sagging floors, and more. The Hi-Lift Jack HL604 60 inch cast and steel jack is constructed with a mix of cast components and four high-strength stamped steel components. Performance characteristics and weight capacity remain the same as the all-cast Hi-Lift jacks but at a lower price. WIth over 100 years of quality, the Hi-Lift Jack is a rugged, highly versatile jack that puts you in command of situations requiring lifting, pushing, pulling, winching and clamping. Although light in weight and easy to manuever, the Hi-Lift Jack offers a rated load capacity of 4,660 pounds (2114kg) and a tested load capacity of 7,000 pounds (3175kg), achieving a 150% safety factor. Our jacks are designed to help you survive in the most demanding situations - whether you are in the Moab desert canyons, the Welsh mountains, the Amazon jungle or the farmlands of Indiana. With a full range of specially designed accessories, the Hi-Lift jack is just about the most versatile piece of off-roading, farming, auto recovery equipment you can buy. When its a heavy duty situation, the tool had better be a Hi-Lift! Adjustable, easy-to-assemble, easy-to-install floor jacks are designed for temporary support during remodeling projects to reinforce stairs, porches, decks, or weak floors. Constructed of premium quality steel and coated to prevent corrosion. All moving parts fit snugly to avoid lateral displacement and the top and bottom plates are deeply embossed to mitigate movement and prevent dishing. The heavy-duty high-carbon steel is double locked for added safety. Compression strength is defined as testing to the point of failure. To determine safe or allowable load consult a licensed engineer. This product is manufactured in United States. This product meets customer requirement. 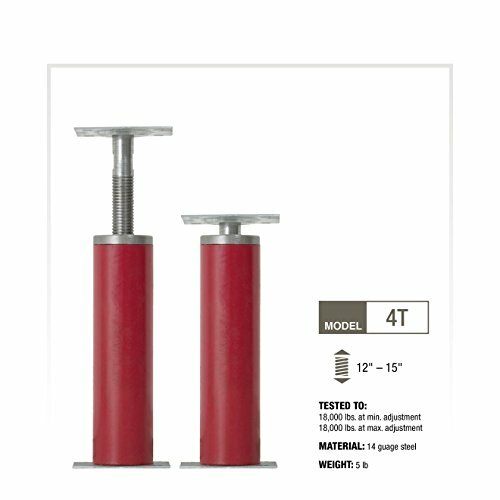 This Vestil welded steel floor jack post (also called a basement floor jack) has a red oxide coating, a screw turning bar, and dual-lock pins, and it extends telescopically for temporarily leveling, bracing, and stabilizing floor beams and joists during construction or repairs. The floor jack post can be adjusted and set to any height within the given range, allowing it to be used in applications with different height requirements. Welded steel provides strength. A turning bar and screw bolt are used to adjust the floor jack post's height, and two dual-lock pins secure the floor jack post at the desired height. When opening the product, the pins can be found inside the tube secured in a cardboard casing. The floor jack post has a diameter of 3". Both end plates are pre-drilled and measure 3-1/2 x 6 inches. The floor jack post should be installed on a concrete floor or concrete footing, with either end up. 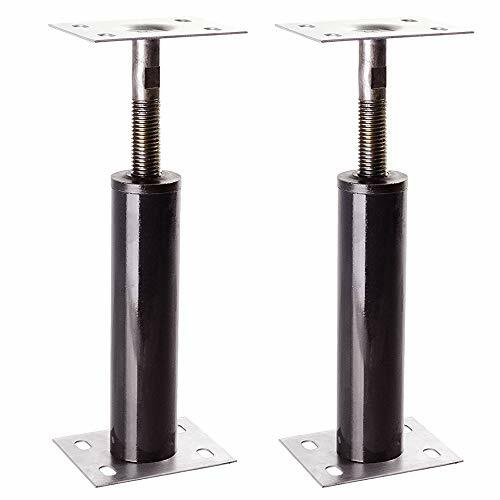 Basement floor jacks, or jack posts, temporarily secure floor beams and joists in construction and industrial applications; they should not be used as permanent supports in new construction. Floor jack posts are typically made of steel for strength. They consist of an adjustable post and two end plates. The height of a floor jack post is adjusted using a screw and the post is held at the desired height with a series of pins. The bottom end plate must be installed on a concrete floor or concrete footing. Bolts must be used to secure each end plate to the structure the post is supporting, and a floor jack post's end plates may or may not have pre-drilled holes for these bolts. Vestil Manufacturing Corp. manufactures materials handling equipment, including jib and gantry cranes, loading dock equipment, and storage solutions. The company, founded in 1968, is headquartered in Angola, IN. 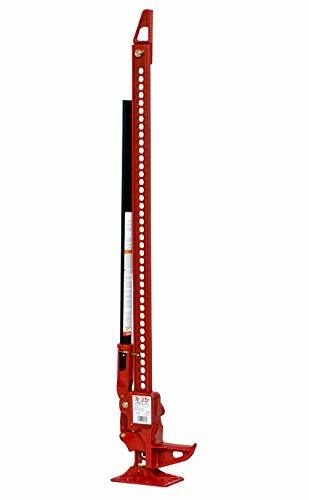 The Hi-Lift Jack HL425 42 inch all-cast jack is constructed with cast iron components for ultimate strength and durability. Hi-Lift Jacks are the only all-cast jacks manufactured in the world. WIth over 100 years of quality, the Hi-Lift Jack is a rugged, highly versatile jack that puts you in command of situations requiring lifting, pushing, pulling, winching and clamping. Although light in weight and easy to manuever, the Hi-Lift Jack offers a rated load capacity of 4,660 pounds (2114kg) and a tested load capacity of 7,000 pounds (3175kg), achieving a 150% safety factor. Our jacks are designed to help you survive in the most demanding situations - whether you are in the Moab desert canyons, the Welsh mountains, the Amazon jungle or the farmlands of Indiana. With a full range of specially designed accessories, the Hi-Lift jack is just about the most versatile piece of off-roading, farming, auto recovery equipment you can buy. When its a heavy duty situation, the tool had better be a Hi-Lift! The Hi-Lift Jack HL425 42 inch all-cast jack is constructed with cast iron components for ultimate strength and durability. Hi-Lift Jacks are the only all-cast jacks manufactured in the world. 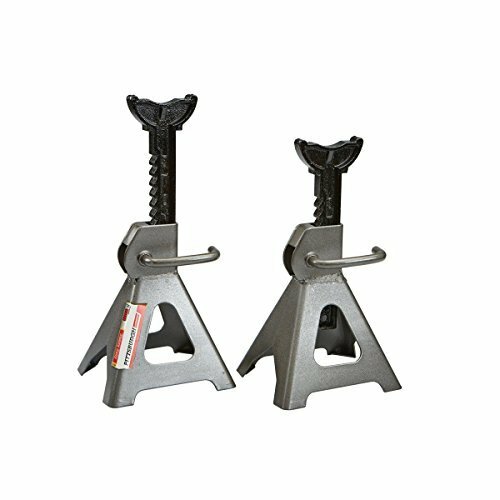 Hi-Lift Cast and Steel Jacks have four stamped high-strength steel parts in combination with the cast parts. 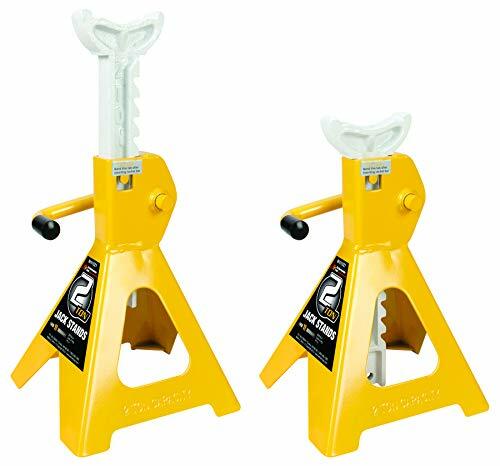 The top winch connector clamp is supplied standard with all Hi Lift jacks and each jack is fitted with a safety shear bolt which prevents the jack from being used on loads greater than 7000 pounds. 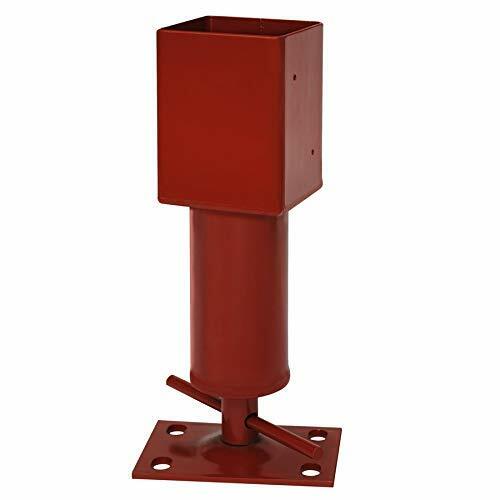 This Vestil welded steel floor jack post (also called a basement floor jack) has a red oxide coating, a screw and turning bar, and dual-lock pins, and it extends telescopically for temporarily leveling, bracing, and stabilizing floor beams and joists during construction or repairs. The floor jack post can be adjusted and set to any height within the given range, allowing it to be used in applications with different height requirements. Welded steel provides strength. A turning bar and screw bolt are used to adjust the floor jack post's height, and two dual-lock pins secure the floor jack post at the desired height. The floor jack post has a diameter of 3". Both end plates are pre-drilled and measure 3-1/2 x 6 inches. The floor jack post should be installed on a concrete floor or concrete footing, with either end up. Turn Bar and Pins are stored inside the inner tube for shipping. 1.Absolutely do not go over the stated limits and restrictions. This product is only applicable to small and medium vehicles (within 3T), the lifting of larger ones beyond 3 tons is not supported. The manufacturer is not responsible for incorrect use. 2. Electric car jack must be used on flat ground. 5. In the lifting process of the electric car jack, if it suddenly stops working, you can insert the hand crank into the hole of the gear case cover backside and rotate it in an anticlockwise direction to decline. (Prohibit the use of hand crank to lift up). Large Capacit&Built-in flashlight for Night Use : 6600 lbs capacity, lifting height ranges from 4.7 inch to 16.53 inch (120mm-420mm). The convenient built-in flash LED light enables operation at night or in the dimmed light without any additional lighting tools.Besides it's totally water-proof so you can use it even on rainy day. 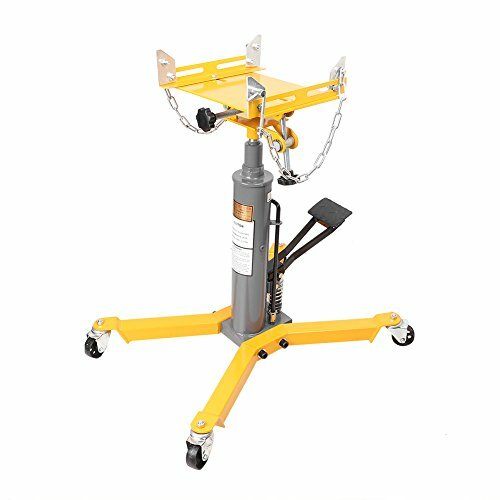 Simple Operation Our scissor lift jack set is a necessary car repair tool whenever faced with a roadside emergency. It takes as short as 2 minutes to reach maximum height (42cm),change your tire with ease. Especially, including a newly developed jump starter,the car repair tool let you no more fighting with an old-fashioned hand jack or the dark of a night.Just power on the jump starter and touch a button for smooth lift. Professional Double-Purpose Tool Box : All the electric jacks are equipped with a powerful, firm suitcase, which helps keeping the components and parts well organized, and conveniently fits in your vehicle.By the time, it can also act as a road sign when you stand it behind the car, just for fear of the unexpected accident.Please use our product in a plat ground. 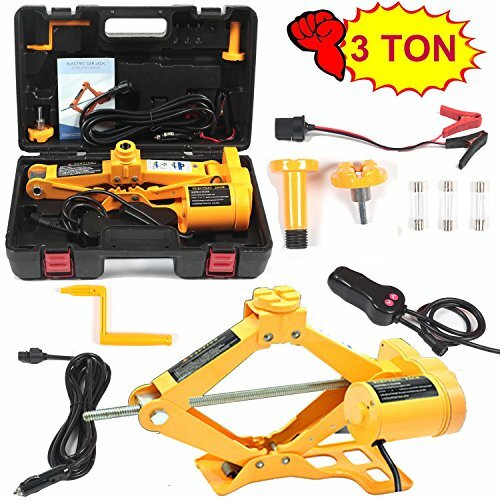 High quality 1500LBS Hydraulic Pressure Transmission Jack, with which you can easily guide a transmission safely and securely. It is features fully adjustable saddle with corner brackets. Comes with foot operated pump and lowering pedal, great lift range by telescopic two-stage hydraulic ram, wide 4-leg base with swivel casters for stability and easy movement. For temporary or additional support under stairs, porches, decks, crawl spaces and heavy load areas.Perfect for remodeling projects. Fully adjustable jack posts come with double carriage nut and bolt for added strength and safety. All moving parts fit snugly to avoid lateral displacement, and the top and bottom plates are deeply embossed to mitigate movement and prevent dishing. *Compression load range is testing to the point of failure. Maximum loads are obtained at minimum extension. To determine safe or allowable loads, consult a licensed engineer. DURABLE - Premium quality, heavy duty high carbon steel. HEAVY DUTY - Corrects sagging floors, supports basement beams and stairwells, and more. SAFE - Double locked for added safety. SECONDARY SUPPORT - Can be used permanently if as a secondary support. 2 ton (4480 pounds/2032 kilogram) capacity. Ratcheting style for easy adjustments. Easy to adjust height. Great for cars and light duty trucks. Tough bright yellow enamel finish. 1 pair (2 jacks). The Viking rack jack eliminates the problem that hunters often face - loading your harvested animal by yourself! The three pieces slip together when you are in the field (assembly of the winch and pulleys done one time) and the entire upper section will swivel 360 degrees which allows you to load your Trophy without straining. The rack jack has machined pulleys - made for years of trouble-free use - these eliminate binding and ensure smooth operation. The strap-bracket that joins the vertical section and Boom section is super easy to assemble - it allows you to get the game loaded and get you on your way home in a hurry! Rack jack weighs a total of 45# - each section is light enough to make it easy to carry, but our Engineering makes it strong enough for the big animals! 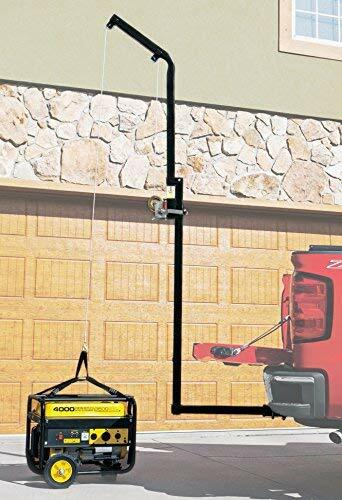 Hitch mounted hoist - swivels a full 360 degrees to allow you to load game animals up to 300 lbs. Simple design - the boom/winch piece was built as one unit, there is no cable threading or alignment of holes and pins. Easy installation - 3 quick steps for installing and using your new Rack Jack. Featured - machined pulleys will not bind or jam. Attached is a high strength hook for Fastening your favorite gambrel. Weight - total weight of the rack Jack II is 42 lbs. This CoreLine Mfg Adjustable Jack Post provides temporary or permanent support for a variety of applications including crawl spaces, basements, under decks, stairs, mobile homes, RVs, basement joists, sagging floors, and more. Quick and easy installation. 12in. to 15in. lift range. 9-ton lift capacity.